With first round of competition coming to or at a close, the QSRU committee has become aware of what it determined to be significant inequality and uncompetitiveness amongst the teams competing in the Scotney Club competition. The committee accepts that there will always be stronger and weaker clubs (that is the nature of sport and competition) but to be confronted with the current position where those clubs sitting at the lower end of the competition have recorded a negative points differential of between 200 and 300 points after less than one full round of competition is not a sustainable outcome in the longer term. 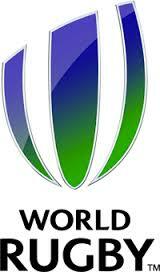 The committee is charged with producing and managing a competition/s which are of quality and equality (not fairness or pick winners and losers – that is what salary caps are for and grass roots rugby is not that structure. Based on these aims of providing a sustainable competition structure which remained enjoyable for all participants and a framework where any team could participate no matter their standard of competitiveness, we sent an email to all clubs proposing a number of options and inviting feedback. The last thing we wanted to do was change competition structures midway during the season but our overriding concern with the obvious inequitable position. 1. Forest Lake club advised that club management had elected to withdraw their club immediately from the Scotney Competition. 2. Springfield Club had decided to reduce their participation from 2 teams to 1 team. Clearly, as the points differential showed, both sides were clearly uncompetitive which was a similar position to those in the lower half of the Scotney Cup. With this previously unknown information to hand, and after much debate within the committee, we circulated a total revamp of all three competitions in the fervent belief that it would address our primary concerns. We strongly felt that, in the interests of long term sustainability, Options 2 & 3 did not address long term sustainability and Option 1 was no longer viable given the decisions of Springfield and Forest Lake. We were subsequently faced with the reality that the Barber Cup and Pegg Cup competitions would be reduced to a 3 team and four team competition which was not in keeping with our core aims of sustainability and game participant enjoyment. Consequently, we felt and it was determined that a variation to Option 1 would represent a compromise position for the good of Subbies grass roots rugby, whilst recognising that club self-interest would have to play a back seat to the overall betterment of participation and inclusion for all. Under this proposal, we moved the 3 top performing clubs from Scotney Cup to Barber Cup where we felt they would still be very competitive and strong enough to compete in finals, moved Springfield from Barber Cup to Pegg Cup, again reflecting their appropriate level of competition and moved the fourth placed team in Scotney Cup at the time we circulated the Options paper to Pegg Cup, thus creating a much more meaningful and balanced competition structure leaving the remaining 5 Scotney Cup sides whose points differential ranged from -86 to -345 to compete amongst themselves. This resulted in a 6, 5, and 5 team structures across Barber, Pegg and Scotney Cup competitions rather than 3, 4 and 10 teams that results showed failed both player satisfaction and competitiveness benchmarks. 1. 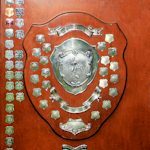 Multiple Breaches by Beenleigh Club – as well as having points deducted for each game where Beenleigh breached Competition Rules, the Club was issued with a Show Cause Notice and appeared before the Committee to plead their case for remaining in the competition. Whilst the Committee has sympathy for the issues and accessibility surrounding Rugby Link (many clubs have suffered from the same technical issues) Beenleigh Club acknowledged their breaches which occurred due to an internal administration oversight. We note now that Beenleigh has 25 players registered on Rugby Link and have been given assurances that there will be no further breaches. As well as loss of all points accumulated to date and now being in a negative points position, the Club also incurred a financial penalty and acknowledge that any further breach will result in expulsion from the competition and forfeiture of bond money. 2. Withdrawal of Forest Lake from Scotney Cup – this was not a decision by the QSRU Committee due to inability to field players or be competitive. This was solidly a decision by Forest Lake club management to withdraw the team registered in their name due to ongoing financial issues. 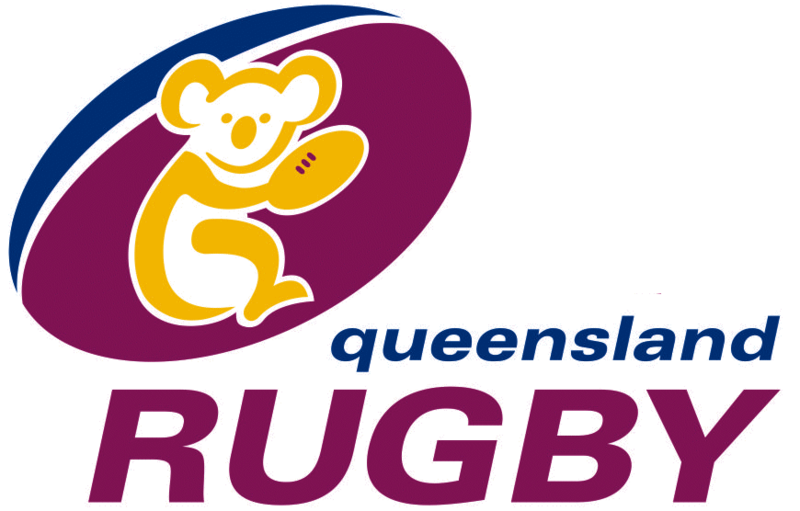 In other words, whilst individual players had paid their participation fees to the ARU and QRU which entitled them to play senior rugby in Queensland, the players had refused to comply with their financial obligations as a member of Forest Lake I.e. refused to pay club membership fees – a position I know all clubs would agree with. 3. Sunshine Coast Inclusion – despite assertions to the contrary from uninformed individuals, feedback from those teams who participated throughout the first round has been extremely positive and those concerned would like to see it continue next season. We are certainly supportive of this view and may look to expand the concept further next year for those clubs who may wish to participate. Nevertheless, two of the three clubs reallocated from Scotney Cup to Barber Cup, Riverside and Everton Park, have advised in no uncertain terms that they will not be participating in a revised Barber Cup competition, and will refuse to play under the revised draw. This outcome is totally unacceptable and goes completely against our participation principles and ideals. It also results in the same outcome which we were trying to address – better participant satisfaction in Barber and Pegg Cup competitions through an increase in participating teams. Scotney Cup will be a reduced nine team competition. I make no apologies for naming the clubs and their respective positions which has influenced this decision. Hopefully, it brings out into the open in a very transparent way the issues that the committee has had to grapple with and somehow find a solution in keeping with our core principles. I recognise that any decision was going to have an adverse impact and that no club would get what it wanted, but it was in my opinion a compromise worthy of further consideration than a simple outright rejection. Whilst I am sorry that a more meaningful competition structure that satisfies our core principles of participant satisfaction and inclusion could not be achieved, there is no doubt in my mind that this kerfuffle could have been avoided if Ipswich, Riverside, Pine Rivers and Springfield clubs had honoured their original nomination of teams in Barber and Pegg Cup competitions, and despite the current obvious imbalance within all competitions, Riverside and Everton Park clubs have simply chosen to ignore Subbies’ core principles for the sake of self-interest. Consequently, these self-interests have impacted on the rest of our club members, particularly our Barber and Pegg Cup teams who are now forced to continue to play in competitions which are less meaningful in terms of participation satisfaction. We have not received any responses from either Redlands or Pine Rivers to the revised format, and in the absence of such, have assumed an acceptance, albeit reluctantly, of the changes and their impact on their clubs. If this is correct, I thank you Redlands and Pine Rivers for understanding the bigger picture here and what the committee tried to achieve. There have been many lessons learnt from the various issues I have highlighted and which the Committee has had to deal with in trying to provide a meaningful and inclusive grass roots structure. As a committee we will always endeavour to achieve these outcomes without favour or bias but at the end of the day we can only manage what the clubs dish up to us. Over the next few weeks we will be mapping out a revised competition structure and revised protocols and guidelines for participating in Subbies rugby in 2019 based on these learnings and with the benefit of hindsight.